Quick and easy, these Cowboy Candy Poppers are perfect to serve at your next gathering. 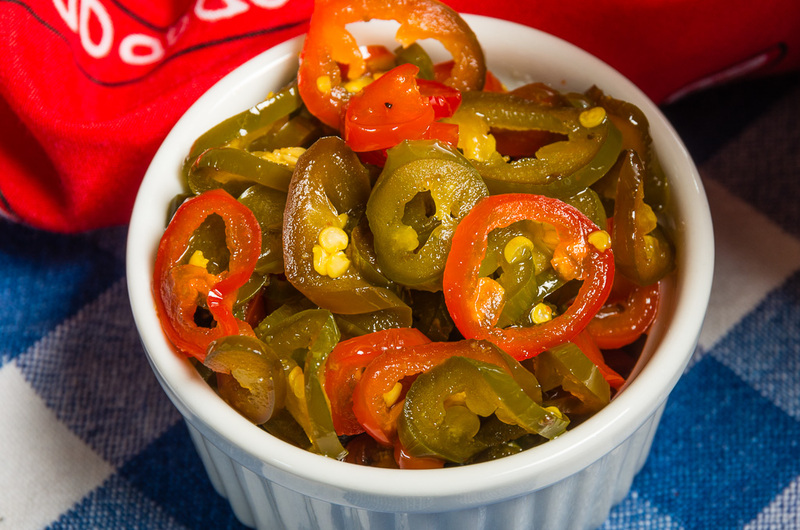 Only three ingredients make up these mouth watering poppers that you can make ahead or assemble, cook and serve. 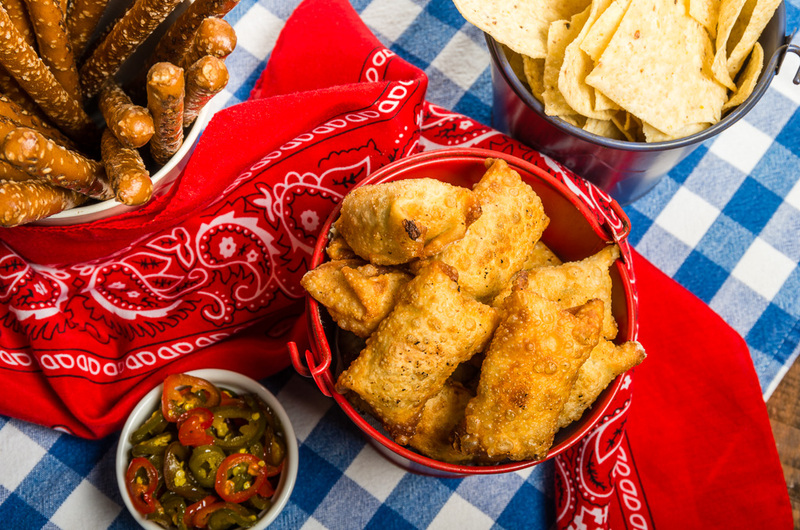 Surprise your guests at the upcoming Superbowl game and serve these sweet & spicy poppers but make sure you have plenty of beverages to serve with them. 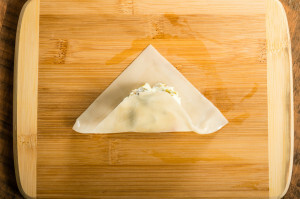 Open wonton wrappers but make sure to cover with plastic wrap they dry out quickly. Fill a small bowl with water, you will need to wet around the wontons to seal them. 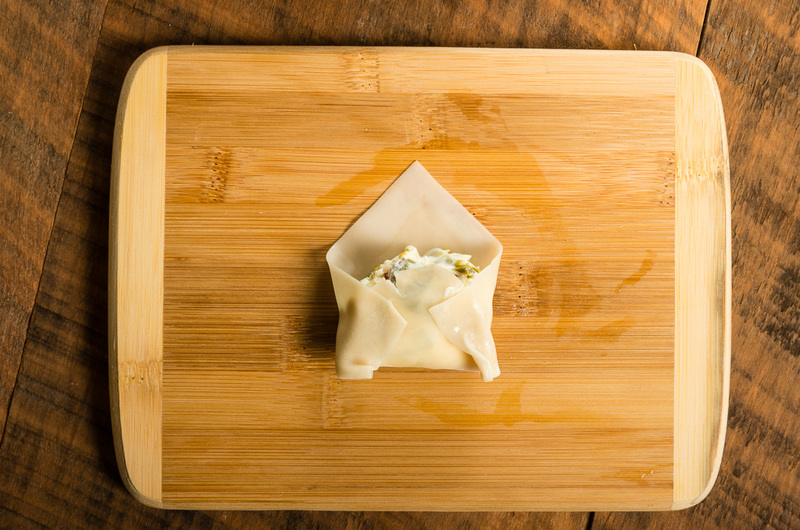 Take one wonton and with your finger wet around the outer edge with water. Place a heaping teaspoon of Cowboy Candy in the center of the wonton. 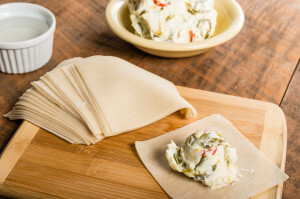 Bring back of wonton up and over the filling. 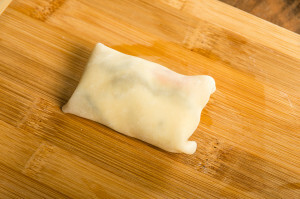 Now take both sides and fold in, finish by rolling wonton forward to seal. Make sure the wonton is completed sealed or the cheese will melt out when you are cooking. Place on a paper towel-lined baking sheet. 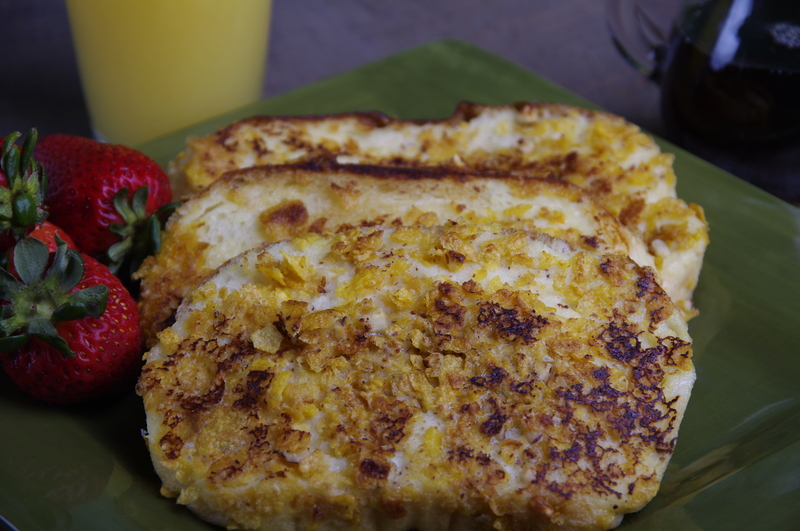 In a deep skillet or pot heat about 1-inch of canola oil over medium high heat for about 5 minutes. Add one Cowboy Candy popper to check if the oil is hot and popper starts to fry. Add more to the skillet or pot about 8 total and cook about 1 to 2 minutes or until a golden brown. Using tongs flip over and cook the other side. The first batch always seems to take the longest to cook. Cook remaining poppers but watch these will brown up much faster. Place finished poppers back on the paper towel-lined baking sheet. 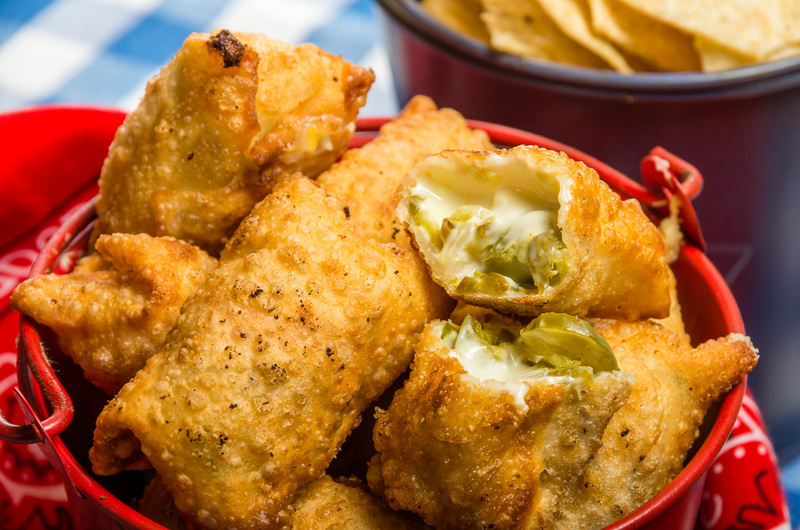 They are ready to serve and you need no dipping sauce for these poppers. If you would like to serve later, cool poppers on paper towel. 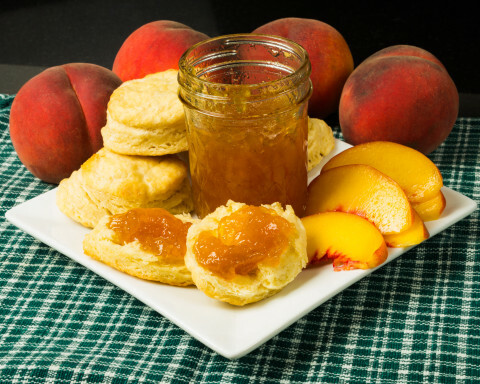 To reheat remove paper towel and place in a preheated 400 degree oven for about 3 minutes or until they are hot.